When she passes, each one she passes goes"
You might already know the lyrics from the iconic song “The Girl from Ipanema” written by Tom Jobim. Music is perhaps the art form that generally speaks most to our hearts. In the meeting between musicians coming from the quite free, soft and sometimes a bit rhythmic bent Brazilian music and the Danish jazz musicians with their different harmonies musik, a bit tighter measure and sometimes very experimenting traditions, we seek an intercultural dialogue, that can help creating a better understanding of each other, both as artists, as audience and as humans. We see it as our finest assignment to create platforms, where artists becomes inspired by each other, and the audience experience this inspiration as a driver for curiosity on how to understand each others cultures. Through our 10 years work in Brazil, we feel that through music we have accomplished to move our two worlds a little bit closer. 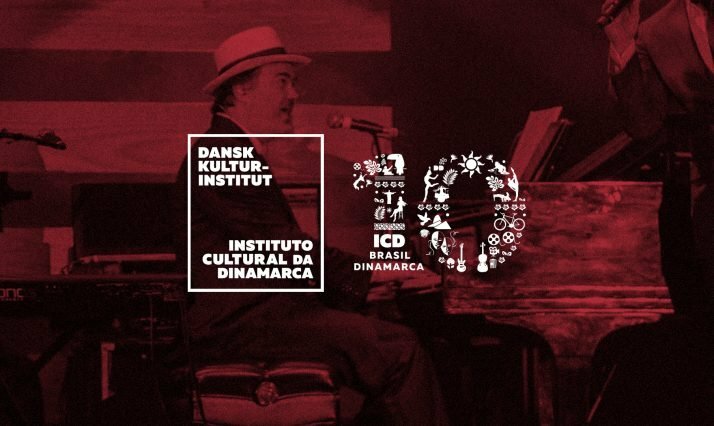 Daniel Jobim, Brazilian pianist, composer and singer, gracefully carries the name that put Brazil on the map musically, as he is the grandson of legendary bossa nova composer Antonio Carlos Jobim. Known to all Brazilians by his nickname Tom Jobim, he was the man behind immortal classics such as The Girl From Ipanema, Quiet Nights, Desafinado and many more songs, creating a musical revolution in the 1960’s and becoming part of the jazz standard repertoire. Toms grandchild Daniel has performed with giants like Sting and Stewie Wonder, and in 2016 he played at the opening ceremony for the Olympic Games in Rio de Janeiro. 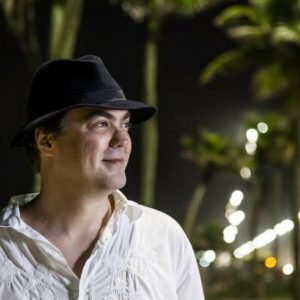 Daniel Jobim has not just inherited the name from his famous grandparent, he is also in possession of the same musical intelligence and sensibility. Furthermore, his genes has provided him with a voice much like Tom Jobim’s. His concerts are not just a musical journey through time and space though, as Daniel Jobim expands on tradition, adding new elements, arrangements and versions, making his brand of bossa nova stand tall, as a high-water mark of the great musical wealth Brazil offers. In this version of the show “Daniel canta Tom” Daniel Jobim is accompanied by Brazilian guitarist and producer Maurício Pacheco and three of Denmarks top-tier musicians, all sharing his passionate love for bossa nova and Brazilian music in all its diversity: Christian Von Bülow, alto sax and flute; Morten Ankarfeldt, double bass; and Niclas Campagnol, drums. Besides carrying on his musical legacy, Daniel Jobim is also continuing his family’s long-lasting work in the fight to protect the magnificent nature of Brazil. He is an eager amateur ornithologist and nature has always been a great source of inspiration for him. In his day-to-day life, Daniel Jobim spends part of his time in Ipanema and part of it in Poço Fundo, the vast wooded area the family possesses in the state of Rio de Janeiro. Here, the original Atlantic Ocean seabed jungle, the Brazilian eco-system under the biggest threat of extinction, is still intact, thanks to the investments by Daniel Jobims grandfather…. Musikhuset Dexter, the. 13´th of July, and during CPH Jazz Festival, the 14´th July, in Kongens Have.